Getafe vs Levante predictions for this Saturday’s game in Spain’s La Liga with the hosts targeting a move into the top six. Read on for our free betting tips and predictions. This games features two sides who have returned to La Liga over the past couple of years and enjoyed success to varying degrees. Overall though it is Getafe who have been far the more convincing side and some of Levante’s results this season have certainly been cause for concern as far as Paco Lopez is concerned. They head into this Saturday’s match as the clear underdogs with the bookies. That’s probably about right. 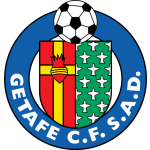 Getafe invested quite heavily by their standards in the summer, although principally it was an investment in the squad rather than merely the starting eleven. One of their main signings was Jaime Mata, a goal machine in the Segunda Division last term and he opened his Getafe account on Monday as his new side came from behind to draw 1-1 at Celta Vigo. They’ve got some impressive results this term, including a fine win at Sevilla but they need to get better at putting the weaker teams away in front of their own fans. That will be the challenge for them here against a Levante side that has shown some pretty big cracks since an impressive 3-0 win at Betis on match-day one. They did at least manage to halt a 3 game losing streak last time out though with a 2-1 home victory over Alaves. This though you sense will be much tougher. Levante would certainly take a point. They are a side that likes to play on the break away from home and their approach here is likely to see them drop very deep and try to be a threat on the counter. Getafe aren’t the world’s most creative side and we’ve already seen them toil trying to break down a defensive Valladolid side at home this season. That game ended 0-0 and while Levante are perhaps a bit more error-prone in defence, this one could follow a similar pattern. Getafe matches are rarely ones for the neutral. All of their 12 matches and 15 of their last 16 in La Liga have ended with under 2.5 goals in total. Those are pretty extraordinary figures but ones that aren’t massively reflected in the odds in the goals markets here. 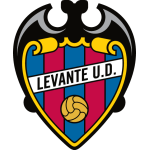 While it’s true Levante are often involved in higher scoring matches, their away tactics couldn’t really be described as adventurous and they have only conceded 3 times in 3 away fixtures this term, so it’s not like they’ve been getting torn to shreds on the road. Overall going for another Getafe match to produce under 2.5 goals looks like it could be the best move here. Getafe have only won two of their last eight league games at home (D2 L4), failing to score in five of them; they have recorded a win, a draw and a loss in their three home league games this season. Levante have lost their last two away games in La Liga, as many defeats as in their previous seven games on the road under Paco López (MP7 W4 D1 L2). Levante player Enis Bardhi has attempted the joint-most shots without scoring in La Liga this season (14, along with Saul Ñíguez). Only Barcelona’s Leo Messi (14) has attempted more shots on target in La Liga 2018/19 than José Luis Morales (11). Getafe’s Jaime Mata has been involved in three goals in his last four appearances in La Liga (one goal and two assists). Getafe manager Jose Bordalás has only won one of his six games against Levante in all competitions (D3 L2), 2-0 in April 2017 in Segunda.